Kid Chris story of success began with his residency for the In Bed with Space World Tour. Since the year 2002 he travels the world and visits the best clubs in more than 50 countries around the globe. With his inimitable mixing skills and uplifting house music, he animates and excites every party crowd. Kid Chris and the In Bed with Space World Tour are regular guests at world famous festivals like Nature One in Germany, Donauinsel Festival (biggest outdoor festival in Europe) in Austria to name a few. 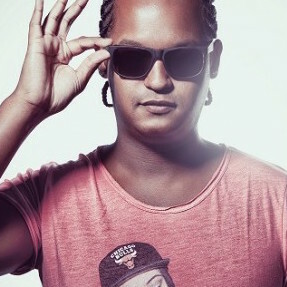 His releases and remixes are supported by DJ´s like Erick Morillo, Axwell, Paul van Dyk, Roger Sanchez and you can find his music on compilations like, In Bed with Space, Cream Ibiza, Pacha Ibiza or Ministry of Sound. As a talented and successful remixer and producer he is known throughout the international music market. He remixed great acts like Armand van Helden, Barbara Tucker, or the German band “Rosenstolz” (for the single “Gib Mir Sonne” which has Gold Status in Germany, Switzerland and Austria). High Quality Dance Music Labels like Ministry of Sound, Toolroom, Universal, Pacha Recordings (Ibiza) signed Kid Chris for releases, remixes or compilations with great success and chart placements in Europe, Asia, U.A.E., Russia and U.S.A.. In summer 2010 his third Mix Album “In Touch with Ibiza” will be available in stores worldwide. Kid Chris tours to the hottest metropolis for In Touch with Ibiza & In Bed with Space designed by the agency Mind Group, trough out the whole year.